CoCo Daughtry knows a lot about sweet potatoes — the curious orange tuber you’ll probably have this Thanksgiving and again during Christmas, likely in candied or baked form. But have you had grilled sweet potato pizza?Jalapeño sweet potato chowder? Pork belly sweet potato hash? How about a mixed drink called the “Dirty Candy” featuring, that’s right, sweet potatoes? If those selections sound like out-of-the-crate thinking, then Ms. Daughtry is doing her job. She’s the communications specialist for the North Carolina Sweet Potato Commission, headquartered in Benson. Through creative recipes, educational marketing, and a bulbous orange spud mascot named Spencer, she has helped change the perception of sweet potatoes from a holiday staple to an interesting addition to any meal any time of the year. The commission also acts as a resource for farmers, working as an educational hub for the state’s sweet potato producers. Remember the last time you opted to go for those sweet potato fries at your favorite burger joint instead of the usual yellow shoestrings? You can thank the Sweet Potato Commission for the option. For the past five years, the Sweet Potato Commission has been a key component to Benson’s Healthy Harvest Festival — to be held this year on October 28. The event features a 5K run, live entertainment, a car show, vendors, and a whole lot of sweet potatoes. To be clear, sweet potatoes are naturally healthy, but scarfing down an entire pie in record time isn’t exactly the greatest idea for those looking to stay in shape. So, for this year, Ms. Daughtry and her sweet potato team have decided to debut something extra special — and extra healthy — at this year’s Healthy Harvest. “We decided, let’s give the runners a smoothie this year. You’re going to be getting all those nutrients in your body. And it’s delicious. We call it our ‘Creamsicle Smoothie.’ If you’ve ever tasted an Orange Julius - it tastes very similar to that,” she explained. Sweet potatoes are currently in harvest right now with most growers nearing the end of digging. That means those Healthy Harvest smoothies are going to be fresh. “We’re in the heart of sweet potato country right here in Benson — it’s our hometown and we felt like we needed to help with the Healthy Harvest to be a part of that health factor. It fits right in to what our goals are as well as just promoting the healthy benefits of sweet potatoes,” said Ms. Daughtry. 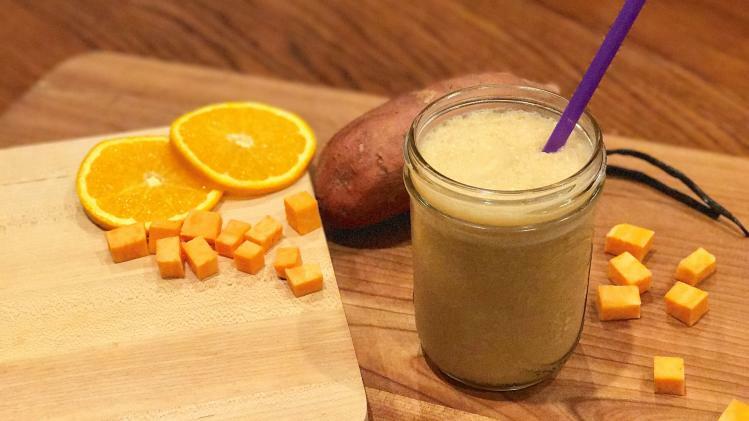 Healthy Harvest runners will also get a Sweet Potato Commission grab bag, complete with smoothie recipe card for concocting your own at home, SPC cup and other goodies. Smoothie samples will also be available for non-runners too, just visit the booth to get a taste. For more information about the Sweet Potato Commission visit www.ncsweetpotatoes.com. • In blender container, combine yogurt, sweet potato, orange juice and vanilla. 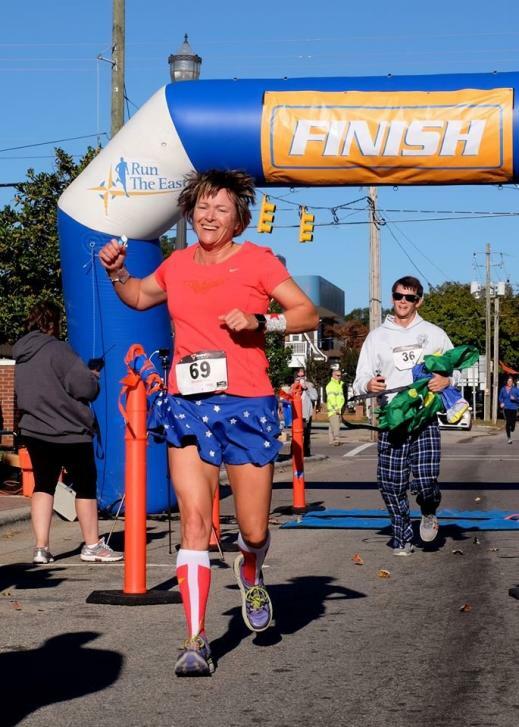 Does a brisk run through one of North Carolina&apos;s best small towns sound like your thing? Do you like costume contests? Have you ever seen Frankenstein or Dracula run a 5K? Answer yes to any of those? All of them? Healthy Harvest is the place to be on Oct. 28. Don’t miss out on the run, live entertainment, food, vendor village, car show, and activities for the kids. 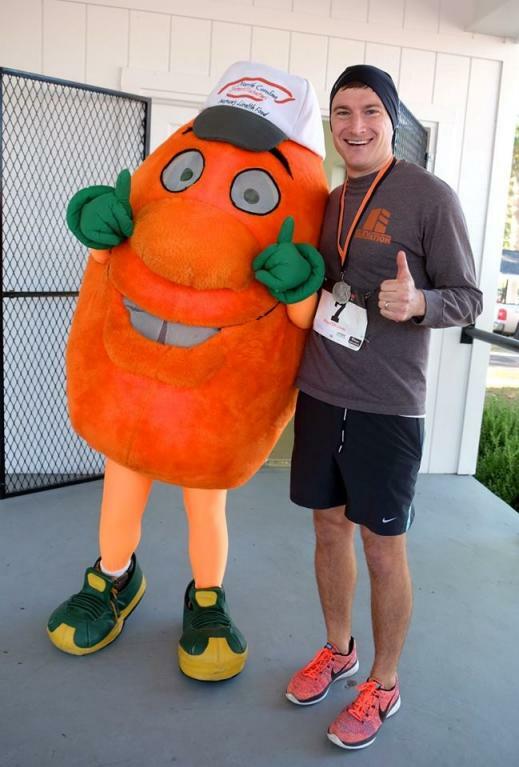 To register for the 5K visit www.runtheeast.com and scroll down to the October section and select the HEALTHY HARVEST 5K. Fill out the linked form to register for the race. Cost for the 5K is $28.00. 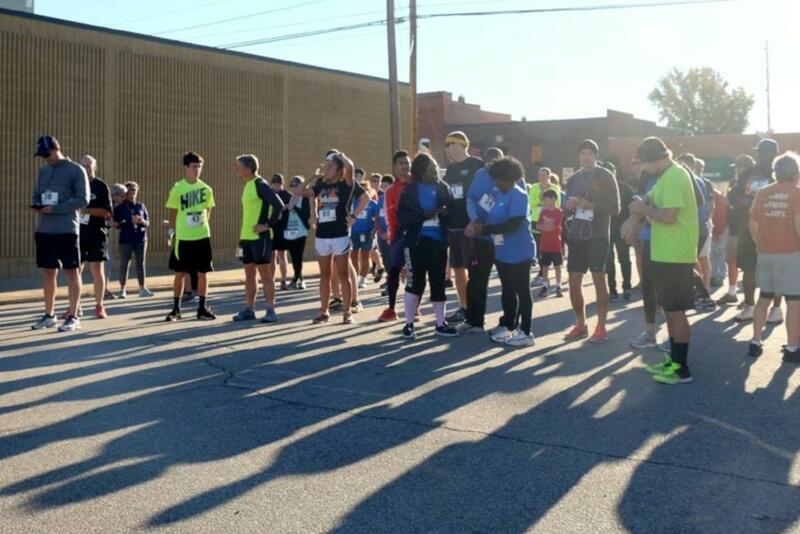 Race day registration will be held from 7-8:30am. A one mile family fun Cupcake Walk sponsored by Jenny’s Sweet Creations will also take place. The starting point will be at the Benson Singing Grove and end in front of Jenny’s Sweet Creations located on the corner of Main and Elm Streets. There is no registration fee for the walk, however, donations are accepted and all proceeds will benefit the American Cancer Society. Dress up in your best (family friendly please!) costume for a chance to win a gift basket! The Costume Contest will be open to everyone in attendance, not just the runners! So bring the whole family out for a Saturday morning full of fun! The Full Throttle Car Club will host a car show along Lee and Parrish Streets (behind the Singing Grove). Registration for your ride will be from 9am to 12pm - registration fee is $20. Judging will be from 12-2pm and awards will be announced at 3pm.